Frontier Developments has confirmed that the PS4 version of Elite: Dangerous, its persistent space sim, and the newest installment in a long beloved series (and genre), will be releasing on PlayStation 4 on June 27. Until now, the game has been available on PC, and on Xbox One. 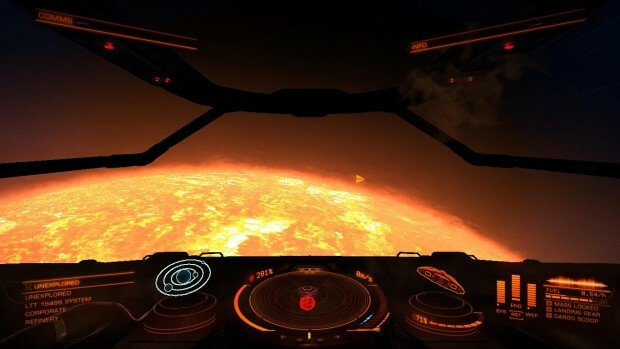 “We are delighted to be bringing our acclaimed multiplayer space epic to the PlayStation 4 – new players on the platform are joining at an exciting time in the Elite Dangerous galaxy after the recent first alien encounters in-game,” said David Walsh, Chief Operations Officer of Frontier Developments. You can pre-order the game on the PSN Store now. The physical release of the game will also be in leading retail stores starting next month, on both, PS4 and Xbox One- so if you haven’t gotten the game yet because you would rather get an actual physical disc, well, you’re in luck. And you have no excuses anymore.